According to “Black Widow Poker” author “Sia Layta,” this is a man’s world. At least, when it comes to poker, anyway. 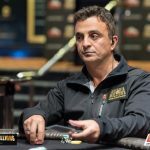 The #MeToo movement may purport to have fueled some major change when it comes to global gender equality, but it’s business as usual in the world of poker. 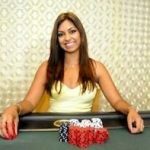 Layta holds tight to her secrecy, revealing nothing about her real identity other than that she is an experienced, Las Vegas-based poker professional. Why the big mystery? Because she’s spent most of the last year deep in a covert operation, playing poker disguised as a man. Her motivation for the ruse was simple: she wanted to find out once and for all whether there was any truth to a sneaking suspicion she’d had for years. So began Layta’s secret mission to see if life as a male poker player really was any different. It started at Cinema Secrets in Los Angeles, where a professional makeup artist outfitted her with a bearded disguise to camouflage her feminine features. From there, it was a 30-minute daily routine to make her look like a “mountain man” in order to compete in dozens of poker tournaments from her new, male-centric perspective. Her guise was good enough that she claims friends and familiar players had no idea who they were sitting across from. The book details her comical encounters and experiences, as she learns what life is like from a macho perspective. While she says it was a daily pain to don the disguise — not to mention a burden physically at the table — it didn’t take her long to find out that her suspicions about male vs. female play were warranted. She plans on putting her theory to a more stringent test at the World Series of Poker this summer. 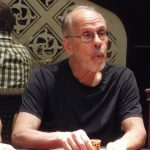 Her identity will remain shrouded for now, but the hope is that a big run will provide the perfect opportunity to finally come out to the poker world. “Black Widow Poker” isn’t just about Layta’s experiences playing as a man, however. 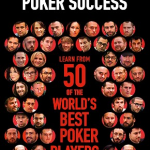 It also offers advice on how women can exploit gender bias at the poker table with specific moves and strategies. But the book is for guys, too, and there are lessons to be learned on both sides. Is that change ever coming, though? The author, at least, is optimistic that a day will come when a big raise coming from a woman means the same thing it does coming from a man. Ultimately, all she really desires is the same thing that almost every other player wants to see these days: people having more fun at the poker table. It’s a lot to hope that poker — or the world at large — will change, but hope springs eternal. Meanwhile, don’t assume anything when you call that big, burly guy across the felt from you: it might not be a guy at all. “Black Widow Poker” should be available at major online retailers after April 19th. Interesting experiment! Like “Kalipateira” in ancient greek olympic games who watched the games disguised to man, wanted to watch her son, while the entrance for women was forbiden.In our days poker is free for all. In online poker there are no prejudices for gender. In live poker maybe there are some remains but not so serious. My opinion is that is something beautifull to see women in poker and I hope to see them increase! I’d be interested to see the thoughts of Maria Ho and Liv Boree on the authors perspective. Maybe the author is benefiting from the exploitation of “Cross Dresser Bias”. It is interesting maybe the statistics and research, of course we have to clarify and not to scratch the machismo or feminism, but if the gains are more guaranteed as a man I thank God then for my gender (Laughter) is actually positive for poker that There is a variety of genres and a beautiful woman who plays poker is great.